One feature that’s missing from iPad is support for Flash, a format of video playback that many online video-on-demand services use. Many content stores are hurriedly adding iPad-friendly videos to their collections, so you do have alternatives to iTunes for your choice of movies or TV shows. You can also shop for music from sources other than iTunes, such as Amazon. You can open accounts at these stores by using your computer or your iPad’s Safari browser and then following a store’s instructions for purchasing and downloading content. Keep in mind that costs will vary. For example, one such provider is Hulu. To get iPad-friendly content from Hulu, you have to sign up for Hulu Plus service and pay a monthly fee (less than $10). Then, download the app directly from Hulu and start watching content. 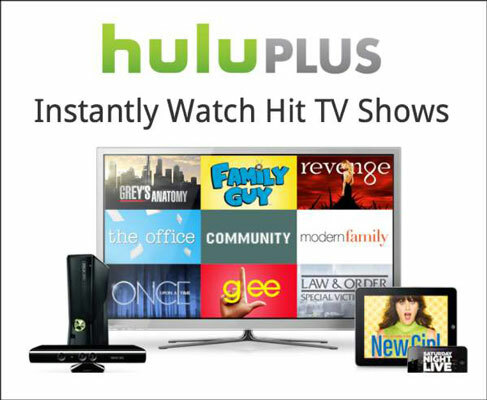 Hulu has jumped on the iPad wagon through its paid Hulu Plus service. TV is working on providing its online television and movie content to iPad. Ustream has a mobile app for streaming sports and entertainment programs to mobile devices. ABC and CBS News stream live TV programming to the iPad. Netflix makes non-Flash movies and TV shows available that can be streamed to the iPad. PBS, the king of documentary and artsy movie programming, has several apps for iPad including NOVA Elements iPad App, PBS KIDS iPad app, and PBS for iPad for other programming. Additionally, if you can get Flash-based content onto your Mac or Windows machine, you can stream it to your iPad using Air Video ($2.99) and Air Video Server, and it will do an on-the-fly conversion. Another free utility for Windows, OS X, and Linux that converts most video to an iPad-friendly format is HandBrake. There are also apps that stream content if you pay a subscription fee or are an existing customer. Two good ones are Xfinity TV from Comcast and TWCable from Time Warner.